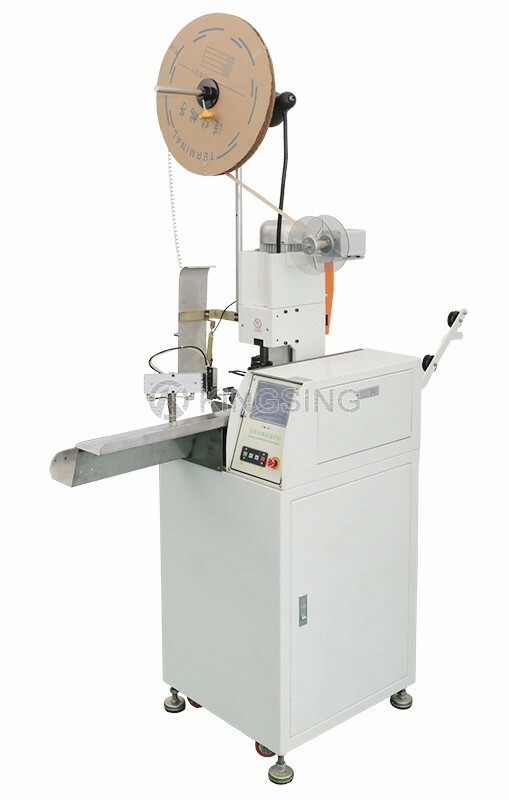 KS-T501is a basic type of single wire cutting, stripping and crimping machine, it isdesigned relatively compact and lightweight, easy to transport. 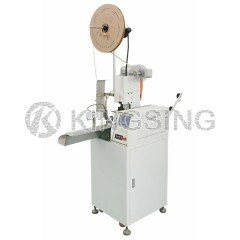 It delivers anextraordinarily wide range of applications, simple handling and increasedproductivity. 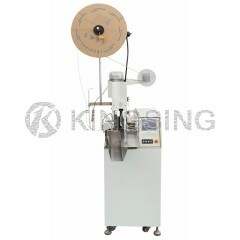 Moreover, its affordable price also makes KS-T501 a popularcrimping machine. With reliable and mature technology, plus its compact moduledesigning, the processing speed is around 5000 pcs per hour. This machinereleased manual work completely and ensured a high level product quality. 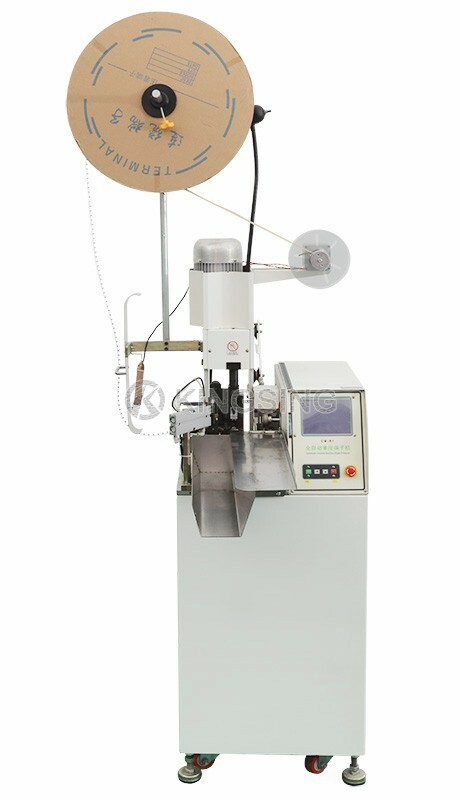 Thecutting length, stripping length, crimping force are controlled by a stablesystem, all of the parameter setting are saved in LCD touch screen, veryconvenient to operate. 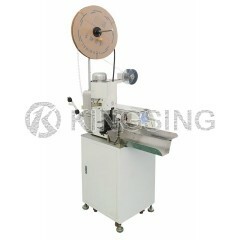 Side-feeding die and straight-feeding die are bothavailable for processing. If you have special die set, we can change themachine to fit your die (for example: JST, Molex, AMP and other brand die setare both customizable). All of its wearing parts are of top quality, highprecision and durable. 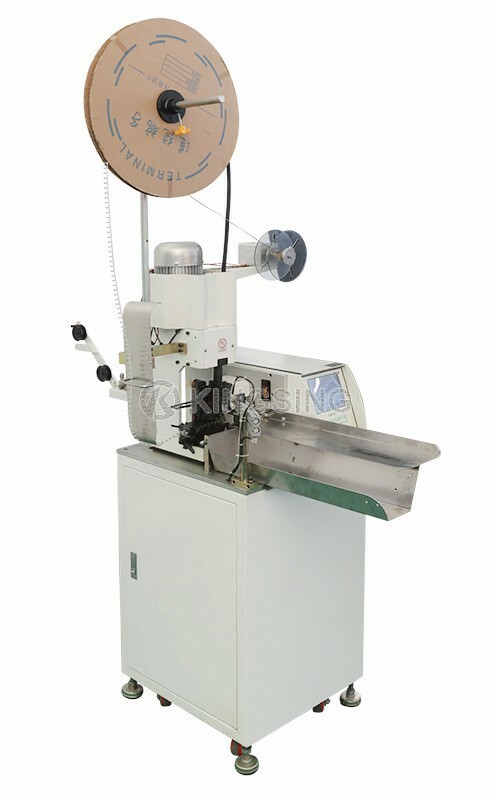 In addition, we can add protection cover for thismachine as customers’ requirements.